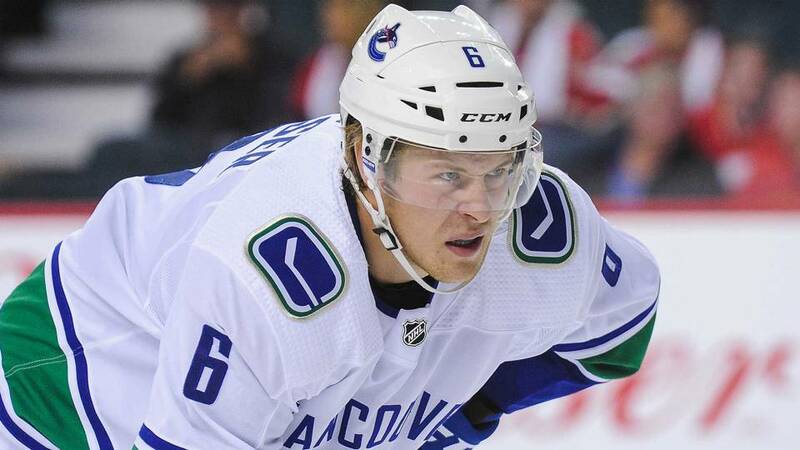 Vancouver Canucks forward Brock Boeser continues to deal with injury problems after missing two straight games. Brock Boeser sat out the Canucks’ 8 – 5 win over the Boston Bruins at TD Garden on Thursday. Instead, he returned to Vancouver to see a specialist about his injured groin. Brock Boeser had two goals and two assists in his last game, a 7-6 overtime win over the Colorado Avalanche. That was on November 2, and he missed the following 3-2 shootout defeat to the Detroit Red Wings. Coach Travis Green outlined that the Canucks are treating the 21-year-old’s fitness with caution. Want $250 to bet on the NHL? The Canucks will be eager to have Boeser fit again as soon as possible. Vancouver has four games remaining of a six game road trip. Upcoming, the face games against the Buffalo Sabres, New York Rangers, New York Islanders and the Minnesota Wild. That’s all going down before November 15, and the team awaits the specialists recommendation on Boeser. Boeser has four goals and seven assists in 13 games for the Vancouver Canucks this season. He injured his groin on October 18 in a 4 – 1 loss to the Winnipeg Jets. He also had injury problems last season, in which he was a Calder Trophy Finalist. Boeser amassed 29 goals and 26 assists in 62 games before a season-ending back injury on March 5. “He wants to play,” Green said.